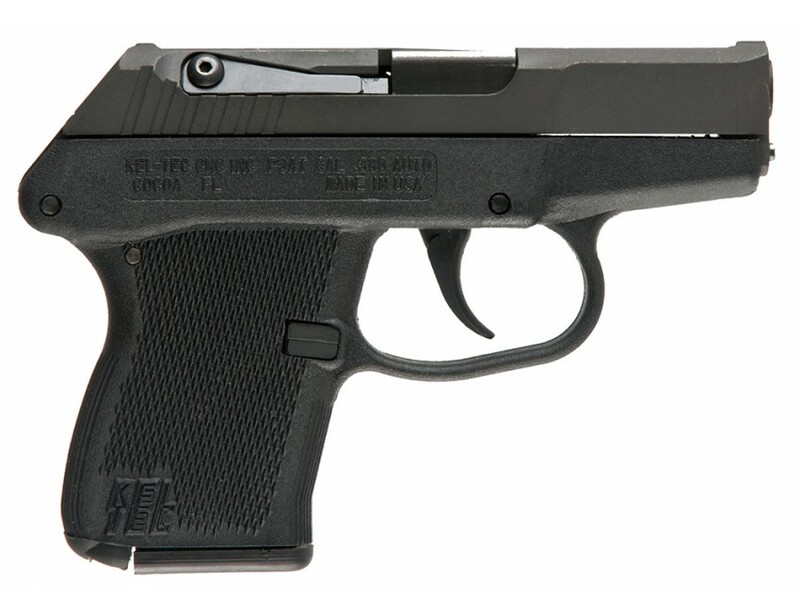 The P-3AT was developed from the P-32 pistol with negligible increase in weight and size. The P-3AT has a perceived recoil and practical accuracy comparable to much larger guns. The slide is made from 4140 steel, and the barrel is made of SAE 4140 ordnance steel, heat treated to 48 HRC. The rectangular frame is machined from solid 7075-T6 aluminum and houses the firing mechanism. The hammer is driven by a special free-floating extension spring. This double action only pistol has fixed sights, and a hammer block safety. It comes with a flat base, 6-round, single column steel magazine.